This is what college looks like for entitled parents who don’t care about education, and whose children don’t care either. Stanford has a sailing team. The University of Southern California has a water-polo team. And people will pay hundreds of thousands of dollars to fake their unqualified kids’ way into top schools. These were just a few of the many things I learned from FBI agent Laura Smith’s affidavit in the college-admissions scandal that has ensnared 33 rich parents, fascinated millions of significantly less-rich parents, and provided full employment for the nation’s op-ed writers, pundits, and tweeters. The story, much like its protagonists, wants for nothing. It has celebrities: Actresses Felicity Huffman and Lori Loughlin, along with the latter’s fashion-designer husband, Mossimo Giannulli, have been arrested for scheming on their children’s behalf. It features obnoxious bigwigs like lawyer Gordon Caplan (who said, “To be honest, I’m not worried about the moral issue here”) and finance executive Manuel Henriquez, whose wife and daughter “gloated” about successfully cheating on the SAT. There’s also a mastermind, William “Rick” Singer, who earned from $200,000 to $6.5 million per client arranging doctored SAT scores and falsified athletic credentials. He did this while funneling the parents’ payments into his fake foundation, which allegedly helped “disadvantaged youth.” Parents were even able to deduct the bribes on their taxes. Agent Smith’s dry prose doubles as a savage critique of higher education in this country. Rich schools welcome wealthy but academically mediocre applicants—did you know that two-thirds of sports scholarships go to well-off white kids?—while tuition soars and teaching is consigned to adjunct professors and graduate students. This is what college looks like for entitled parents who don’t care about education, and whose children don’t care either. 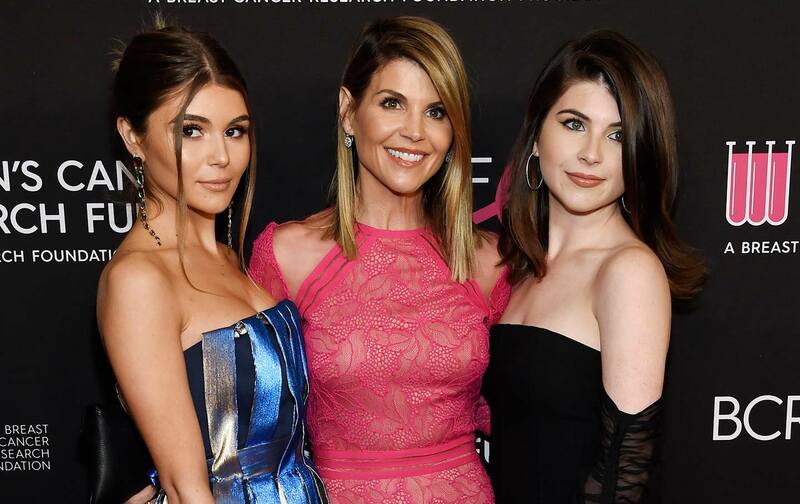 Before she “got into” USC, Olivia Jade Giannulli, Loughlin and Giannulli’s daughter, was a beauty vlogger and “influencer” with 2 million YouTube followers and her own makeup line at Sephora. “I do want the experience of game days, partying,” she told her followers. “I don’t really care about school.” When news broke of her parents’ arrest, she was hanging out with friends on the yacht owned by Rick Caruso, chairman of the USC board of trustees. Many have noted that this is a story about all-consuming inequality: Instead of leveling class differences, education reinforces them. But it’s also about parental narcissism and status-seeking disguised as love. These kids were obviously so academically weak that even a big donation to an elite college wouldn’t pry open the door. Why couldn’t these parents, like millions of others, accept that school was not their child’s strong suit? The fact is that you can get an excellent education at hundreds of American colleges, many of which have fine reputations and are easier to get into. Take Bard, for instance, which accepts 49 percent of its applicants; Sarah Lawrence, whose acceptance rate is 43 percent; or the University of Wisconsin–Madison, which admits more than half of all students who apply. How do we fix this mess? First, the kids must go—all of them. They took spots from more qualified students, and they should give them back. It’s true that college admissions are already absurdly skewed toward middle-class and upper-class applicants, but it would be wrong to let cynicism about legal corruption diminish what actually happened here: cheating, fraud, and tax fraud. I feel sorry for the kids that weren’t in on the con, but I suspect they were a minority: How can you qualify as “learning disabled” without knowing what’s up? Some of the kids pretended to be athletes—complete with staged action shots—in sports they never played. One put himself forward as a football star when his high school didn’t even have a team. The student who failed an online art-history course—a feat in itself—surely knew that Singer’s employee retook the course for her. You know whether you cheated on the SAT and whether you wrote your application essays yourself. The families also need to apologize: first and foremost, to the black and Latino kids who are made to feel like impostors at elite schools because it’s assumed they only got in through affirmative action—even though legacy admissions disproportionately privilege white and wealthy kids. And to Kamilah Campbell, a black high schooler in Florida who improved her SAT score by 330 points and was told by the College Board that she must have cheated. Nobody said that to Gregory and Marcia Abbott’s daughter, whose score also went up dramatically—because one of Singer’s employees rewrote her answers. Conservatives love to tell black and Latino kids to attend less demanding colleges where they’ll fit in better academically. That would have been excellent advice for Singer’s clients, because life isn’t Instagram. You can’t stage photos and add filters and fabricate a whole other super-smart, star-athlete self. If you can’t get into Yale without committing fraud, you probably won’t do too well once you’re there. You’ll have to buy term papers and pay impostors to take your tests, and your parents will have to bully your professors into raising your grades. Embarrassing!